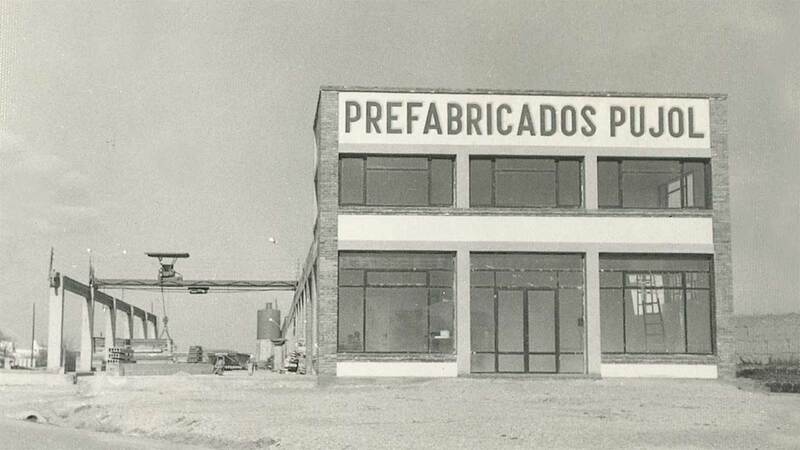 The Group | Prefabricados Pujol, S.A. 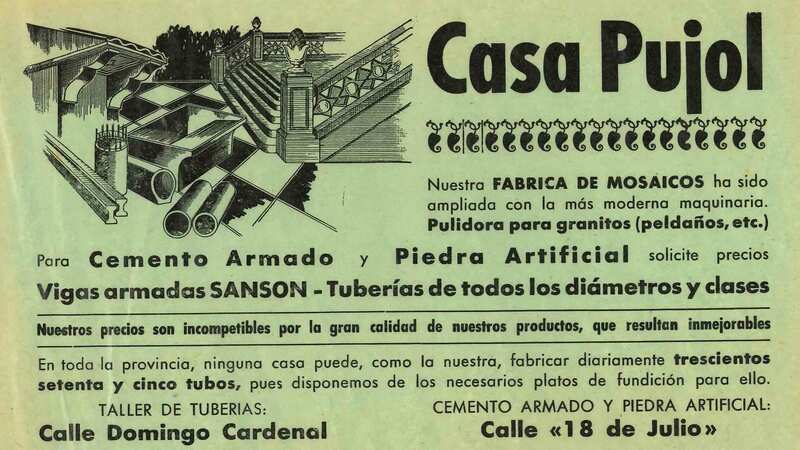 Sharing the same visions from the outset to the present day, our company is the result of the work and combined efforts of people who pushed in the same direction. With common goals and our dedicated team of individuals, we endeavour to overcome any challenge that comes our way. 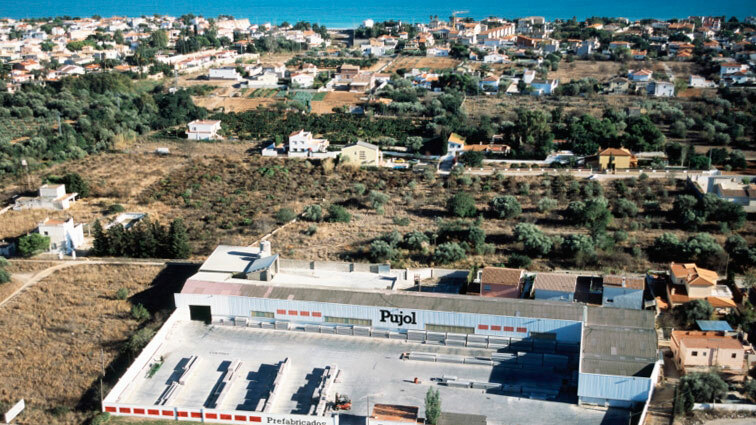 Pujol is formed by 17 production centres, warehouses and offices, shared around the spanish territory and the United Kingdom. PROCESSES AND SYSTEMS CHANGE OVER TIME; AS DO PEOPLE AND EQUIPMENT. 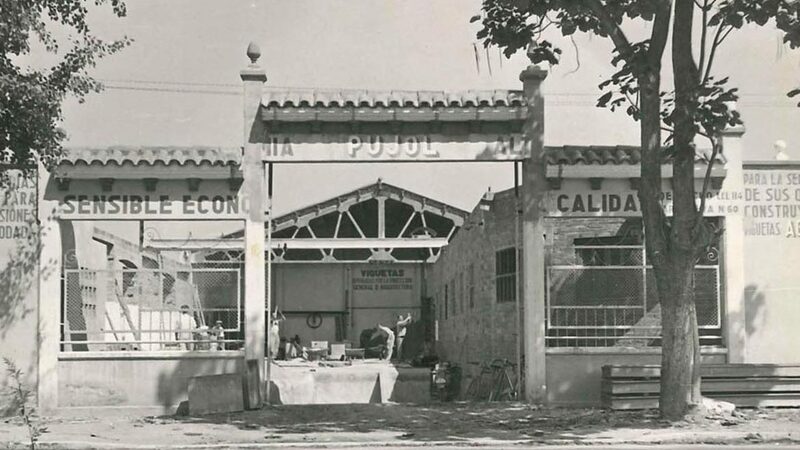 AT PUJOL, HOWEVER, THERE ARE THINGS THAT NEVER CHANGE: OUR CONSTANT PERSEVERANCE AND REINVENTION. 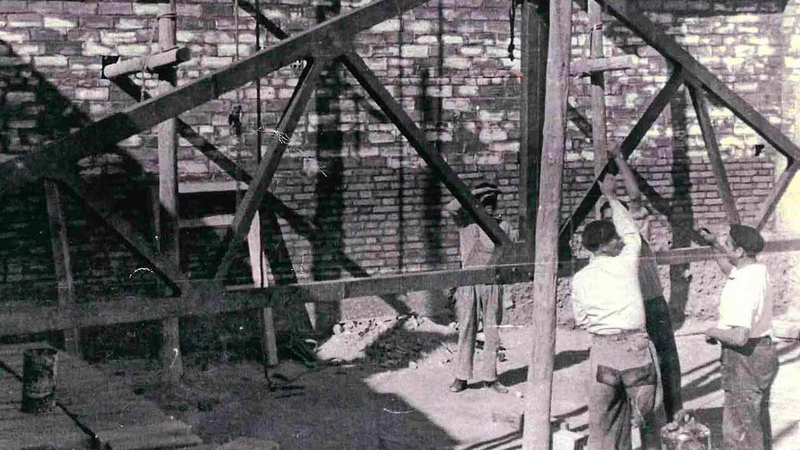 Pujol’s story is linked to the concept of construction. 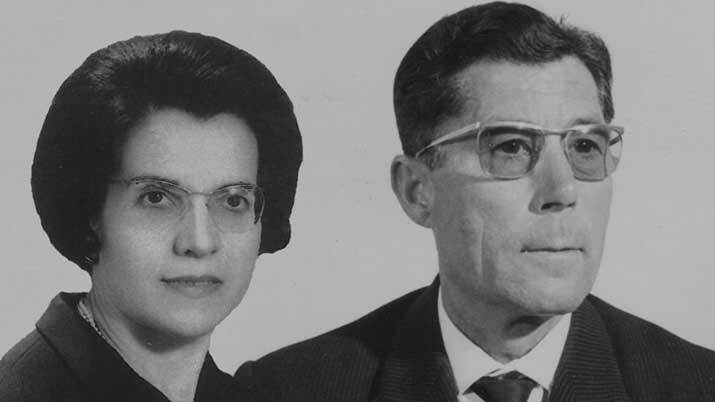 Pujol was founded by a married couple, Miquel Pujol Oliva and Mercè Gorné Gasset. 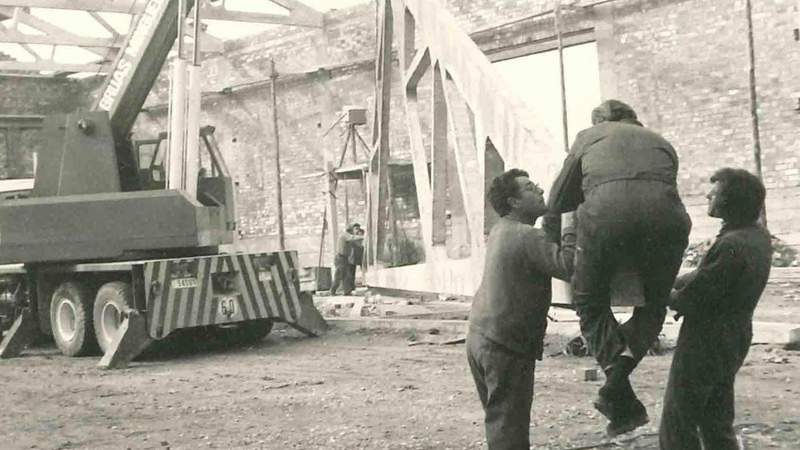 When they were both young, their families moved from the district of La Noguera to Mollerussa where their parents were working on the construction of the Canal d’Urgell, where the central offices were located. 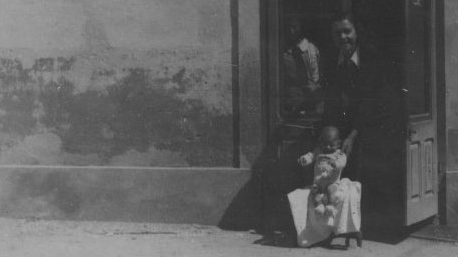 Grandmother Victoria, mother of Miss Mercè, gave the saving that they earned by feeding and selling twelve pigs to her daughter and her son in law Miquel. With this money she bought a land where later they moved their factory. 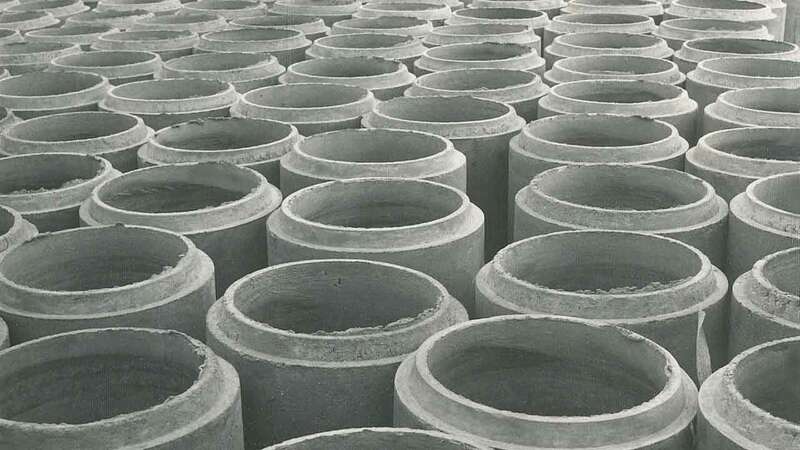 The first order that they had was to manufacture concrete pipes for Mollerussa’s sewers. 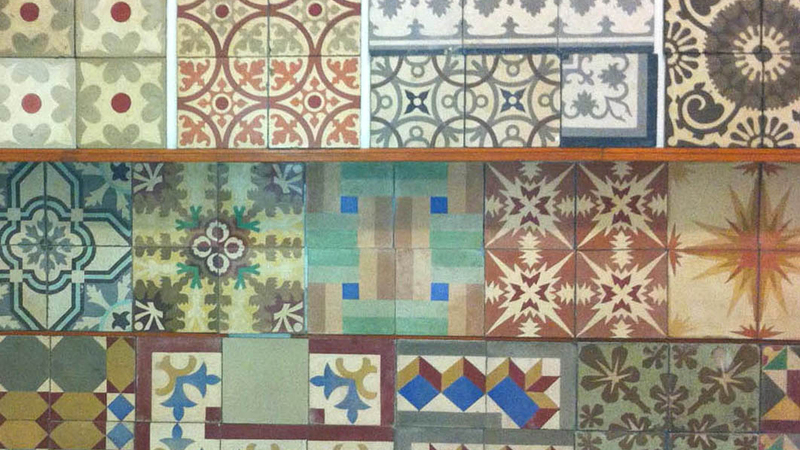 Miquel organised the manufacturing process and Mercè looked after the orders and the accounts. 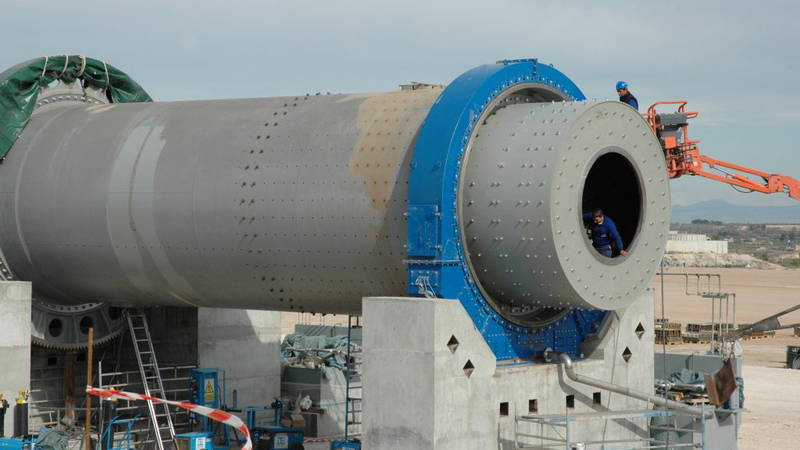 Its workforce is made up of four employees who begin to make mass concrete pipes. 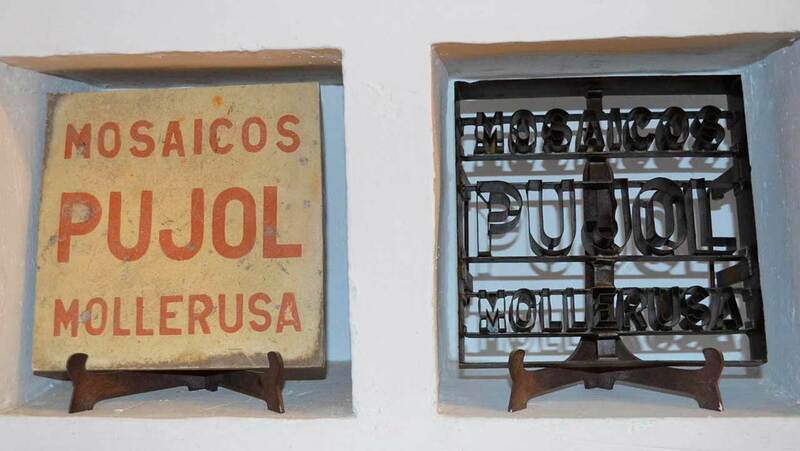 Three years later a press is acquired which enables the production of hydraulic mosaic tiles. The family had also grown with the birth of four children: Josep Mª, Ramon, Àngel and Mª Mercè. 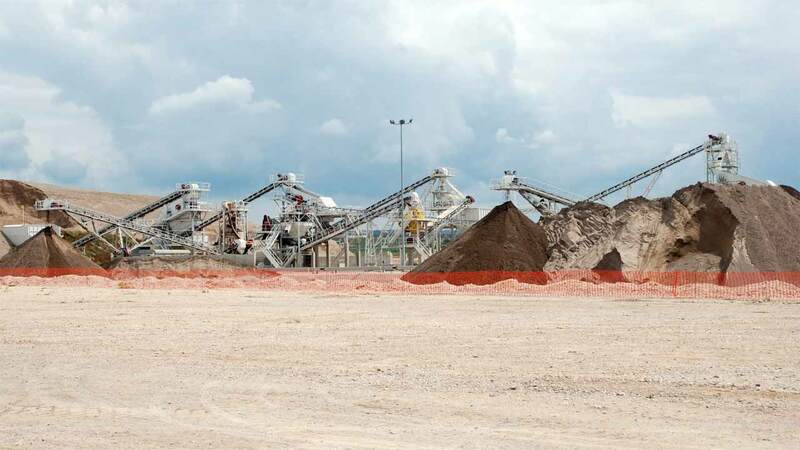 The building of irrigation infrastructure throughout the Canal’s catchment area drove the growth of the company. 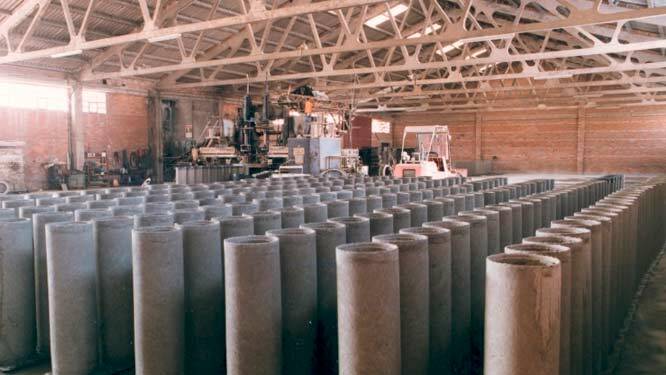 The manufacture of the tubes had been mechanized using a concrete centrifuge that, in addition to increasing the level of production, gave the product more compaction. Another press to make mosaic tiles was also acquired. 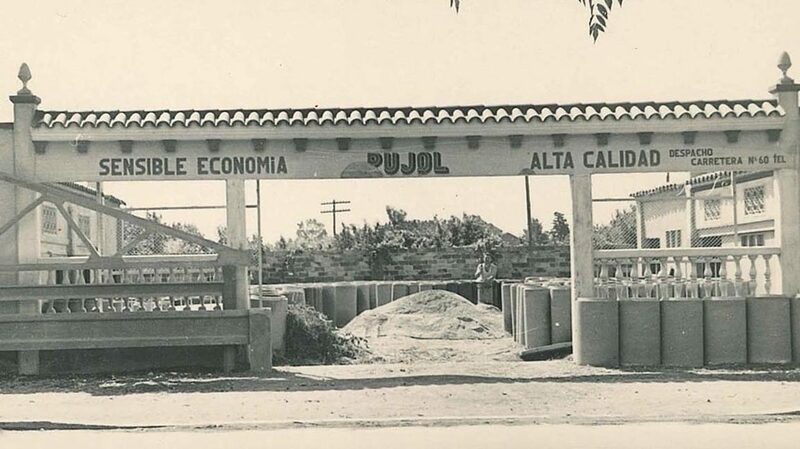 Once Pujol had established, in terms of quality and quantity, the production of tubes and mosaic tiles alongside other concrete components and new artificial stone products, it was time to make key decisions regarding the company’s future. 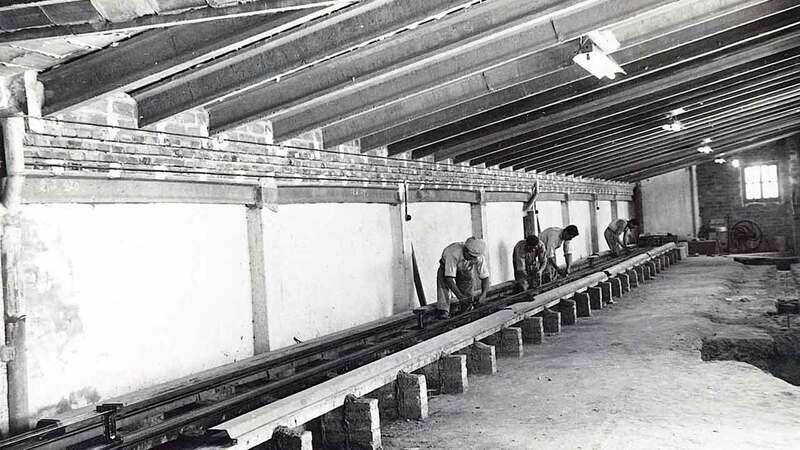 A factory was therefore built dedicated to the production of prestressed concrete beams. Àngel, the third child of the marriage, joins the family business, helping in the production process. From that moment onwards, he will manage that area of the company. Josep Mª, the eldest brother, joins a few months later, upon the completion of his studies as a Quantity Surveyor in Barcelona. He will focus on technical and organisational aspects. 1969. Mercè Gorné, co-founder of the group, passes away, just as the company begins to take its first steps towards its present shape. 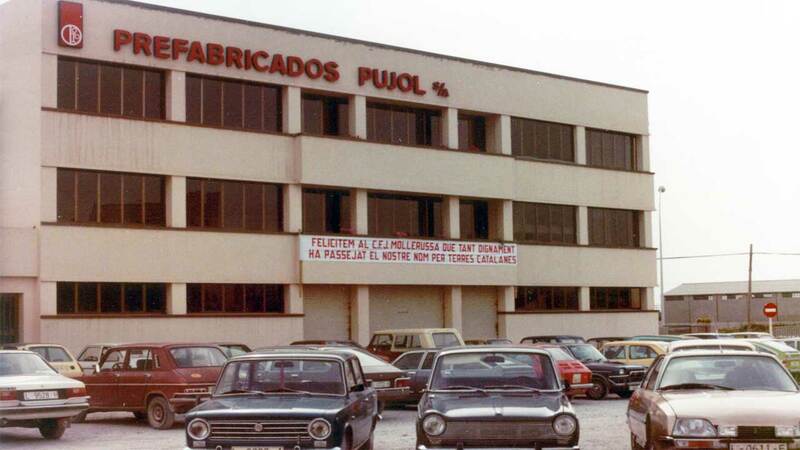 At the beginning of the 1970s the company is consolidated under the brand Prefabricats Pujol. 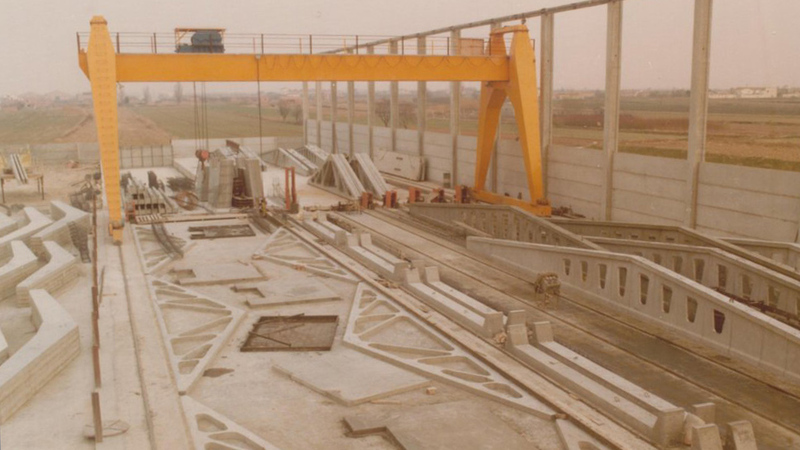 An important technical department is established and the foundations are laid for a business training function that would encompass new sectors in the field of precast concrete. 1972. 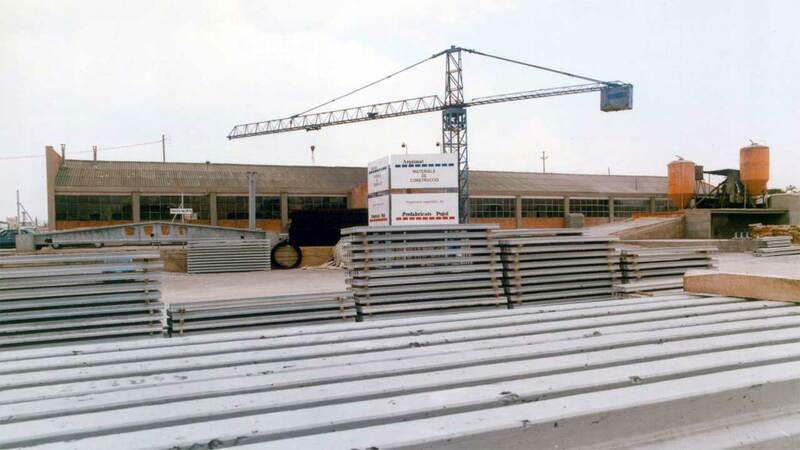 Gercusa is formed, a group company dedicated to the manufacture of ironwork for the construction sector. 1975. The Group’s assembly company Lecsa is founded. 1977-1978. 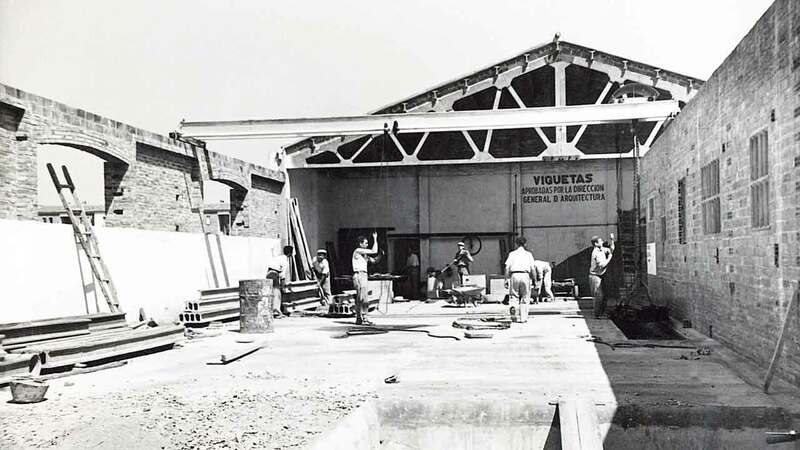 Two companies: Aguiló (Lleida), a pioneer in prestressed concrete technology, and Brugent (Reus), dedicated to the manufacture of concrete blocks, join the group. Today they are part of Pujol Elements, a division of the firm dedicated to the distribution of materials for the construction sector. 1979. 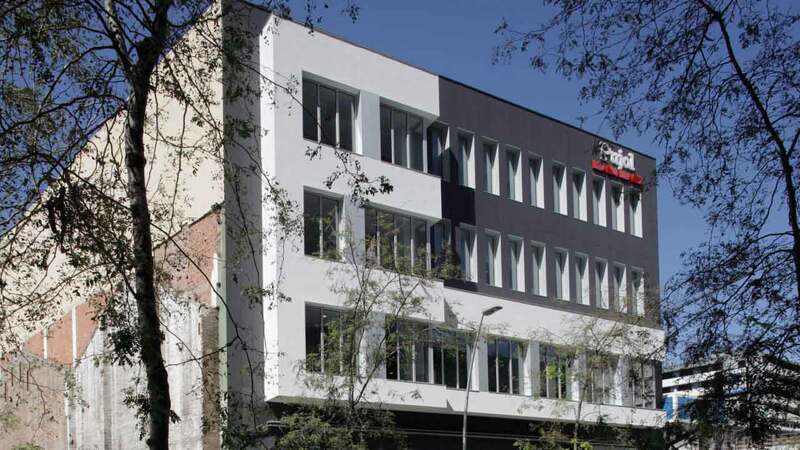 A Group technical and commercial office is opened in Barcelona. 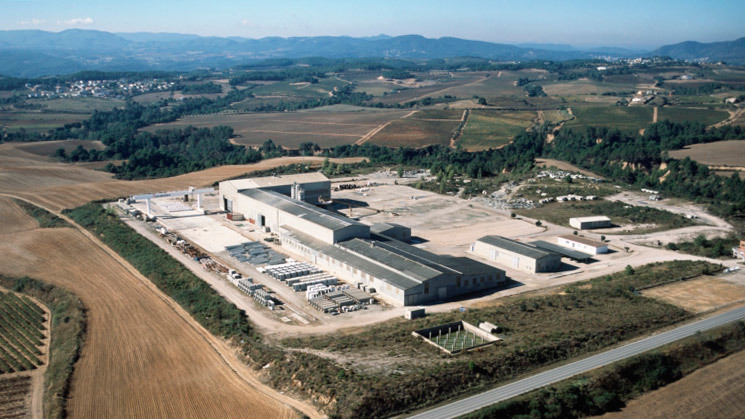 With the acquisition of a beam factory and other precast structures for farms and industrial buildings located in Bellpuig, the group triples its production of beams and opens a new component production line. 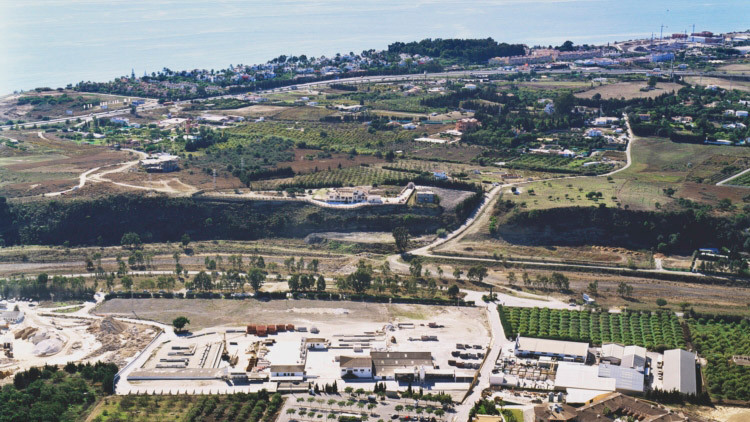 At this point, the group owns 400.000 m² of urbanized industrial land. 1984-1985. Asepsa is established, the company responsible for providing all technical, commercial and administrative services to the rest of the companies in the group. 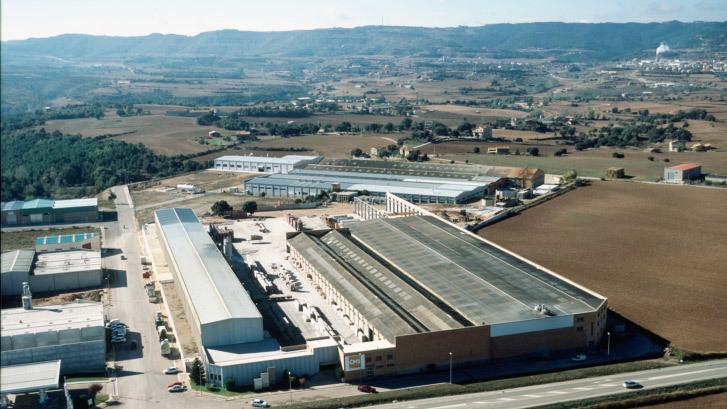 Two more beam factories are acquired: Fetra located in El Vendrell (Tarragona) and Arquimat located in Vilagrasa (Lleida). 1987. 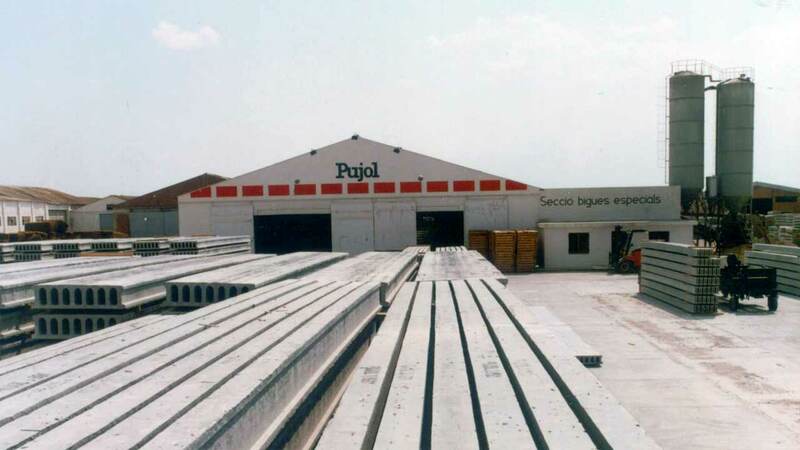 Pujol begins the construction of new facilities which should enable an increase in the production of industrial construction components and enable the company to compete in the public works precast market..
1989. 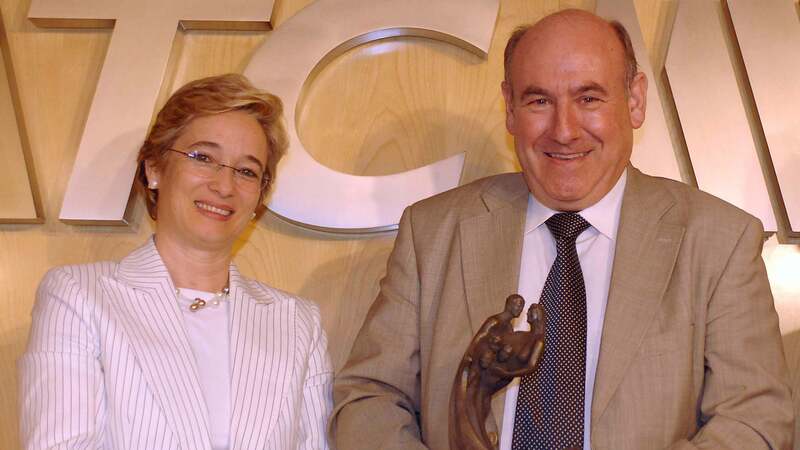 With the satisfaction of having realised his dream, co-founder Miquel Pujol, passes away. He was extremely proud to know that his two children, who by this time were already leading the organisation alongside a fantastic extended team of people, would continue his work by leading the group through many new challenges. 1990. 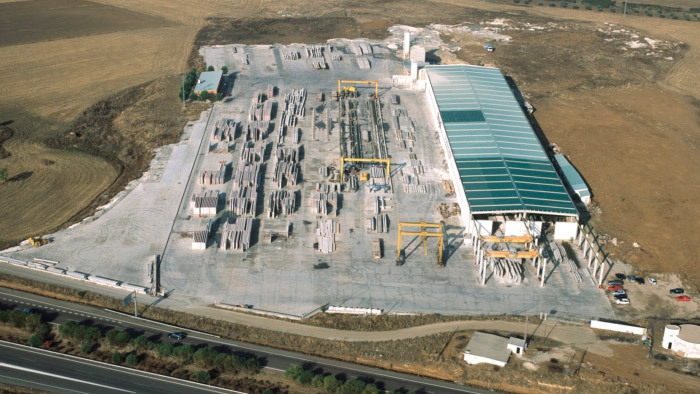 The group acquires two more production plants: one dedicated to the manufacture of terrazzo and reinforced beams in Estepona (Málaga) and another dedicated to the manufacture of small precast vibro-pressed components in Amposta (Tarragona) called Delta. 1991. 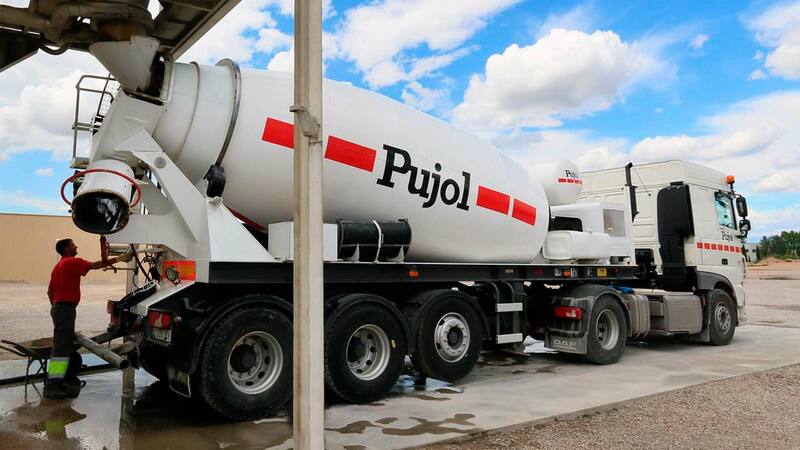 Pujol opens its second technical and commercial office outside Mollerussa in Madrid. 1994. 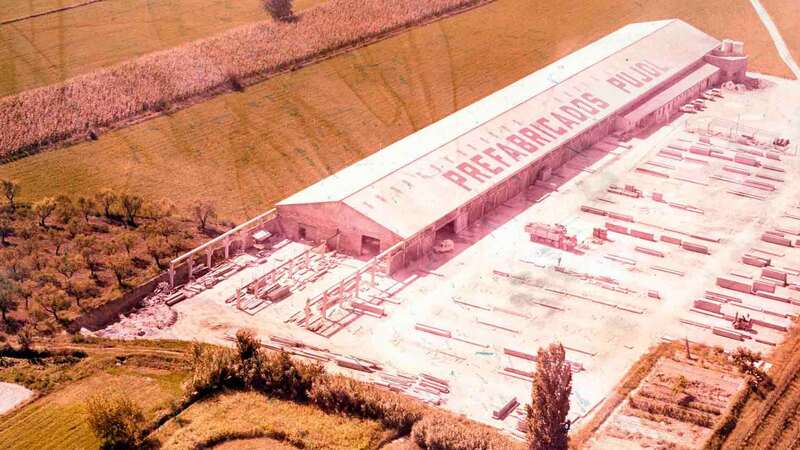 The group acquires Graus Terratzos i Paviments, the largest company in the country dedicated to the manufacture of terrazzo. 1995. 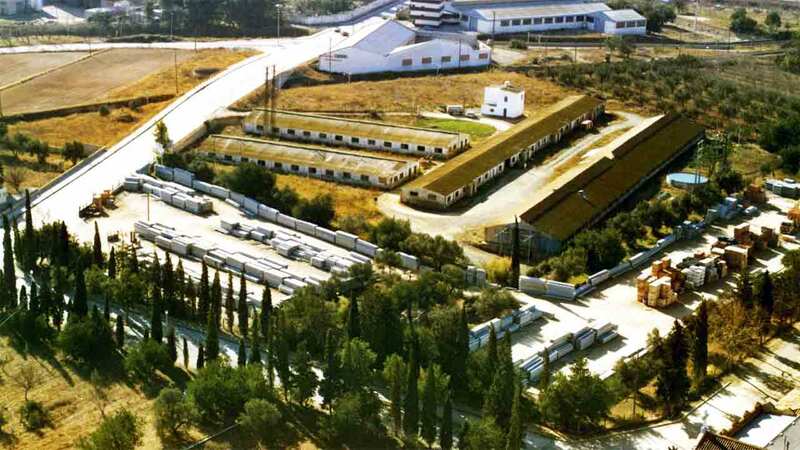 Coltrapesa is founded, the group’s transport company with a fleet of vehicles designed to meet all the logistical and product transportation needs of the group. 1996. 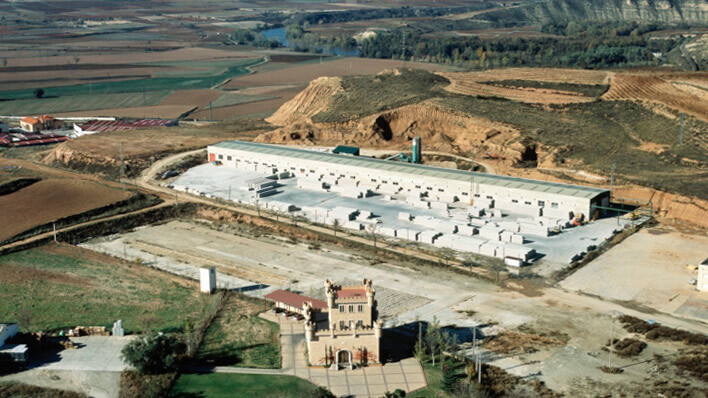 A beam factory is acquired in Vinaroz (Castellón), and an interest is taken in CM Solsonés, a producer of large precast components based in Solsona (Lleida). 1997. 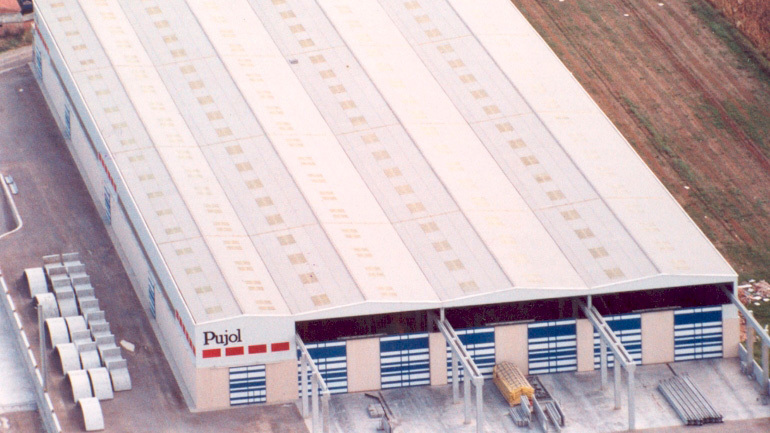 The group opens Pujol Industrial, a factory located in Maqueda (Toledo). 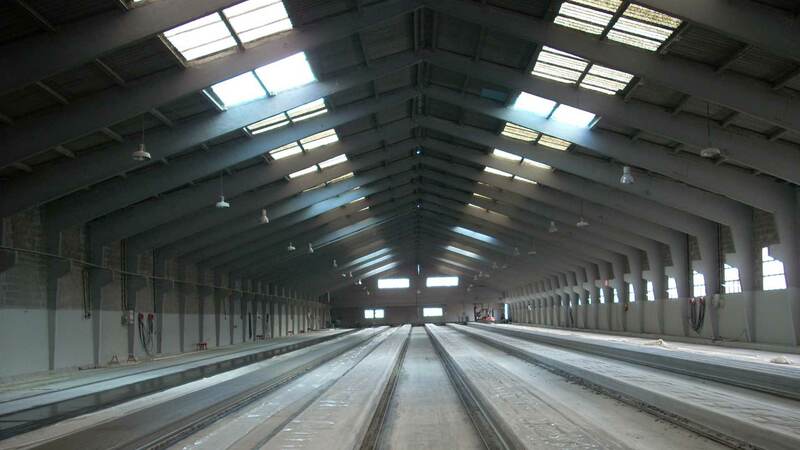 It is dedicated to the production of precast components for warehouses and public works and has its own offices and sufficient land for subsequent building of new production facilities. 1998. The Ferrofet Catalana project begins to take shape. 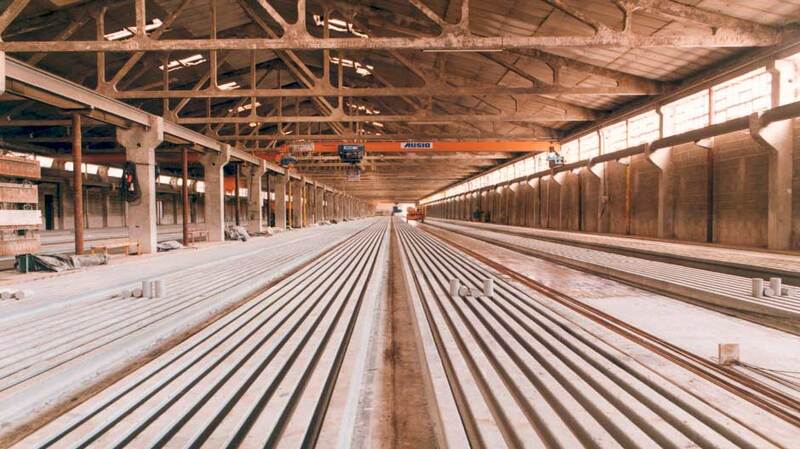 Ferrofet, the subject of a particular pride for the Pujol Group, is a unique initiative launched in 1999. It is a metalworking operation established to offer work to women by means of the organisation of four-hour production shifts, based on a company model committed to the local area and a proper work-family balance. The initiative has received various rewards and has been a case study in business schools. 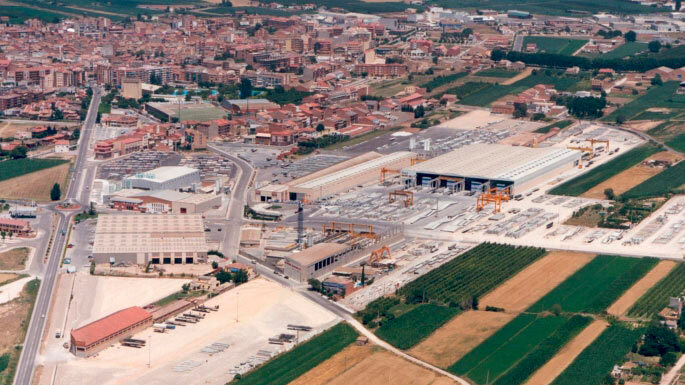 Two alveolar plate factories are opened: one at the Mollerussa facilities; and one at Prehorvinor in Fuenmayor (La Rioja). 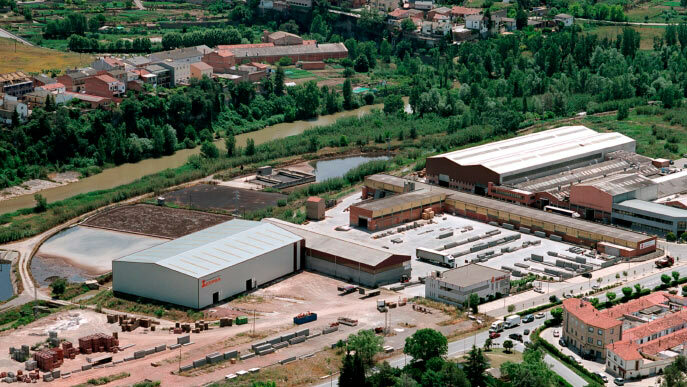 A vibro-compressed precast factory is acquired in Piera (Barcelona). 2000. Miquel Pujol Oliva and Jordi Pujol Torrent, the children of Josep Maria and Àngel respectively, join the team at the Mollerussa headquarters, taking on different management and production tasks and responsibilities. 2001. 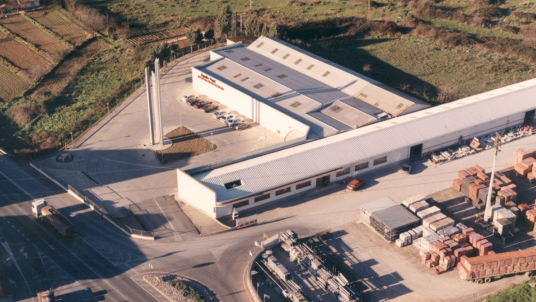 Romà Catalana d’Àrids, a company co-owned by the Pujol group and Àrids Romà is founded. 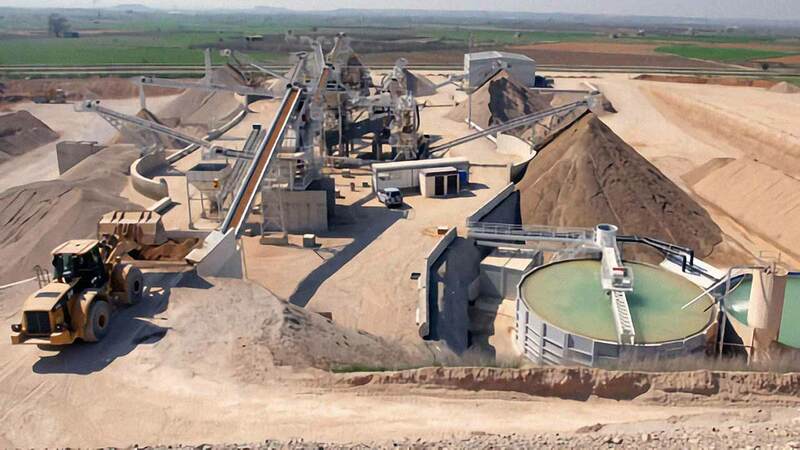 It is dedicated to the extraction and treatment of aggregates from its own quarries. 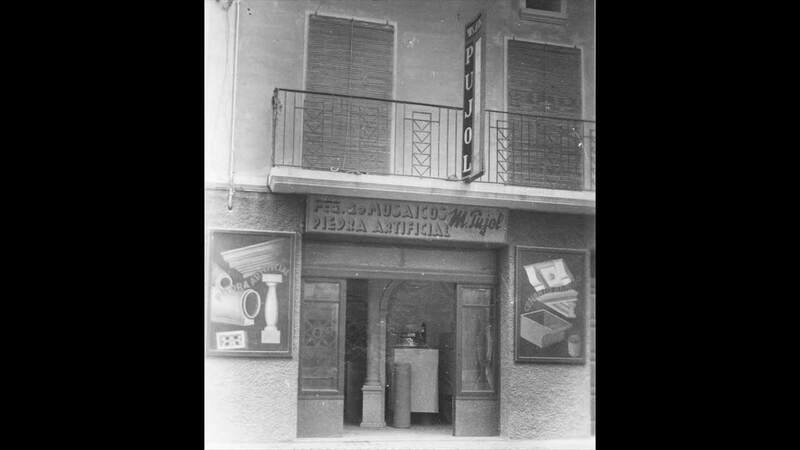 Nowadays, this company is wholly owned by the group and operates as Catalana d’Àrids i Formigons. 2002. 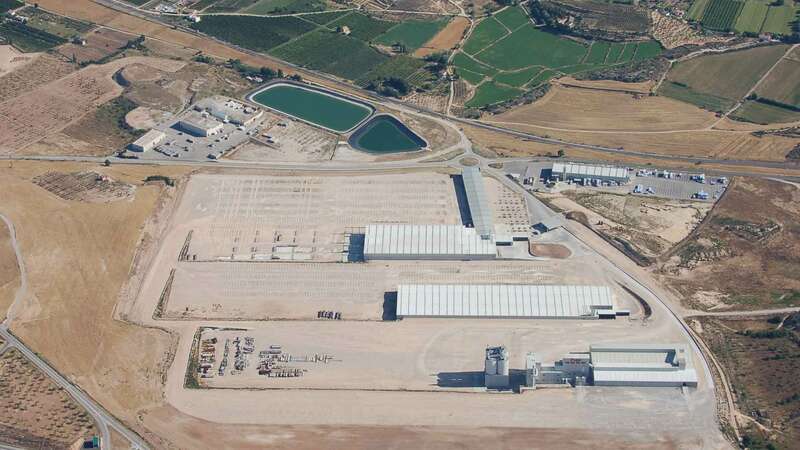 120 hectares of land are purchased in Les Borges Blanques (Lleida) in an area with good potential for access and communication, with the objective of having more space to build the factories that will manufacture components for the new industrial, public works and prefabricated housing sectors. 2002. The GEC (Catalan Family Entities Group) grants Pujol the “Família d’Acció Social Familiar” Prize for the promotion of women’s employment and part-time roles that enable a better work and family life balance. 2004. 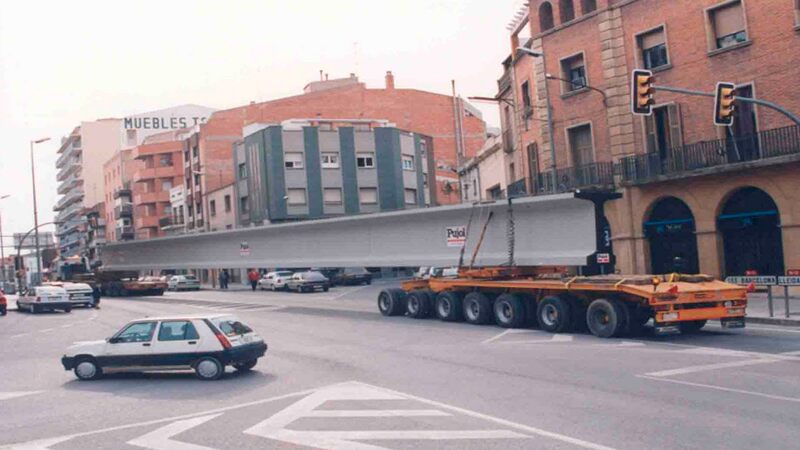 The Official College of Surveyors, Technical Architects and Construction Engineers honours the track record of the group with the “Catalunya Construcció” Prize. 2005. 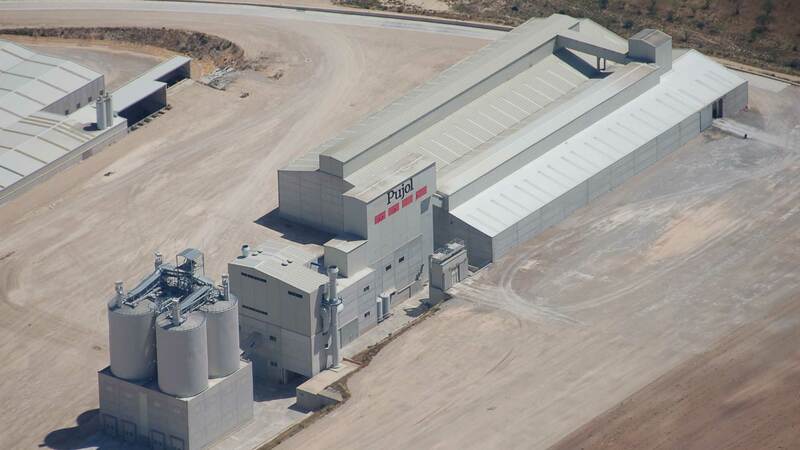 Pujol builds a mill in order to start producing cement in the Borges Blanques business park, giving rise to a new company: Ciments Terraferma. 2005. 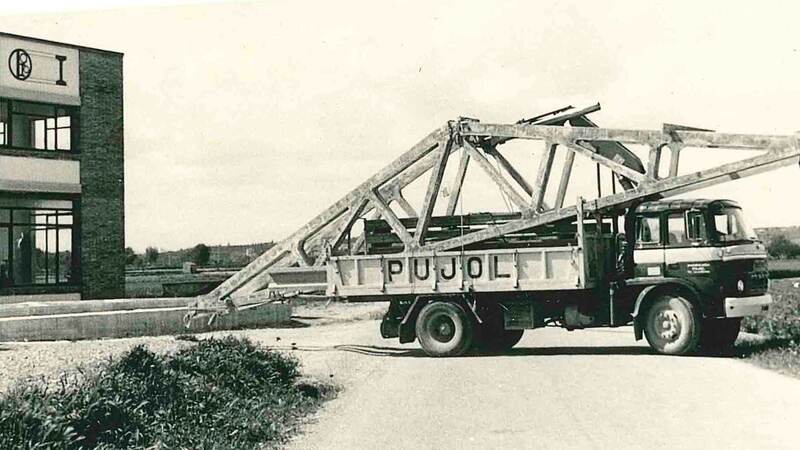 Pujol receives the “Ildefons Cerdà” Medal, awarded by the Official College of Road, Channel and Port Engineers. 2006. 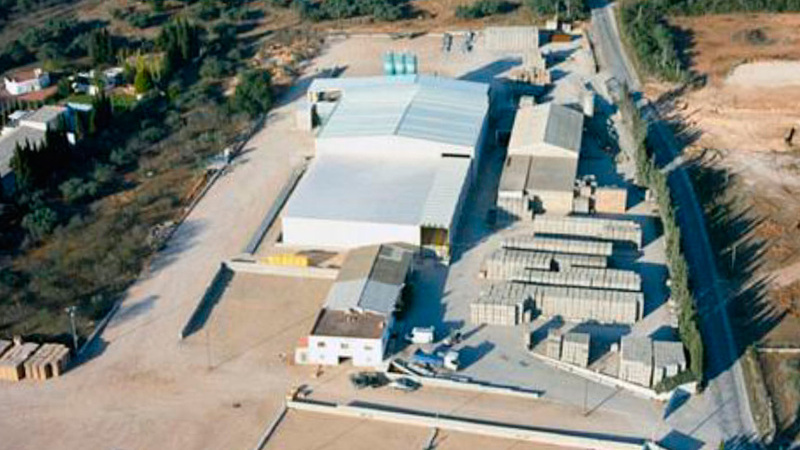 An investment in new industrial equipment in Piera and Amposta enables Pujol to double its production capacity of small precast items. 2007. 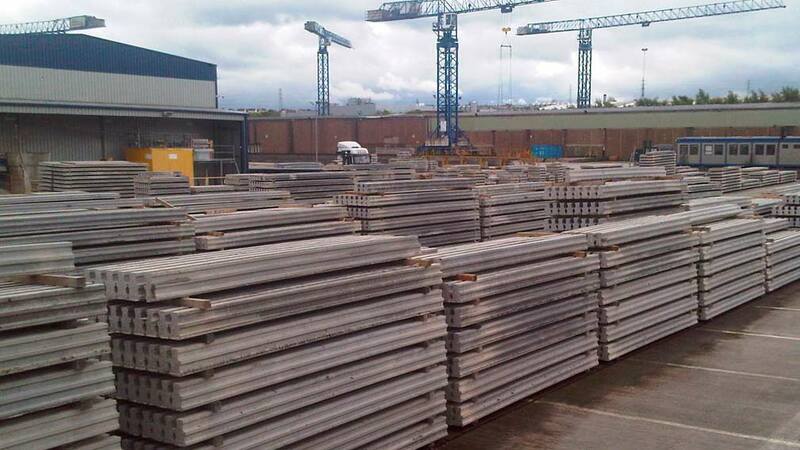 Another prestressed beam factory is acquired. 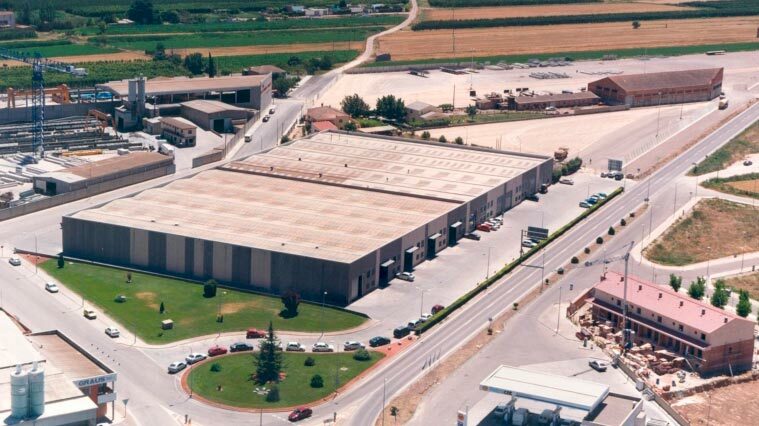 Eepsa is located in Sant Fruitós de Bages (Barcelona). 2009. 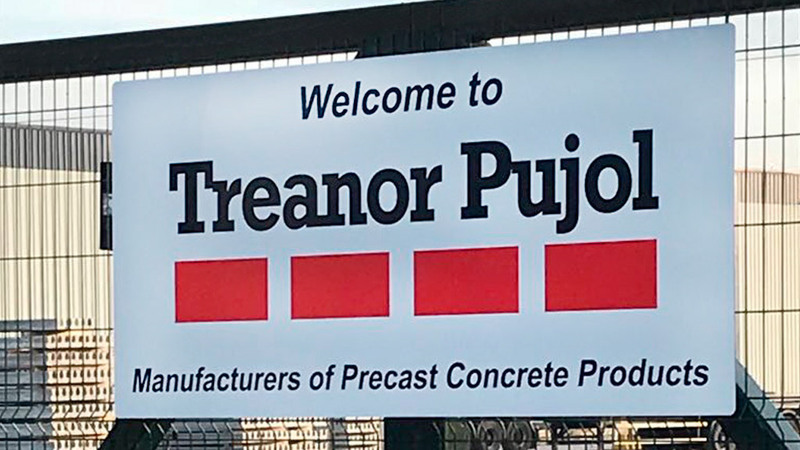 The vision and direction of the new generation of Pujol begins to focus on the internationalisation of the Group, beginning with the acquisition of a precast concrete factory in Leeds (West Yorkshire, United Kingdom) called Treanor-Pujol. 2009. 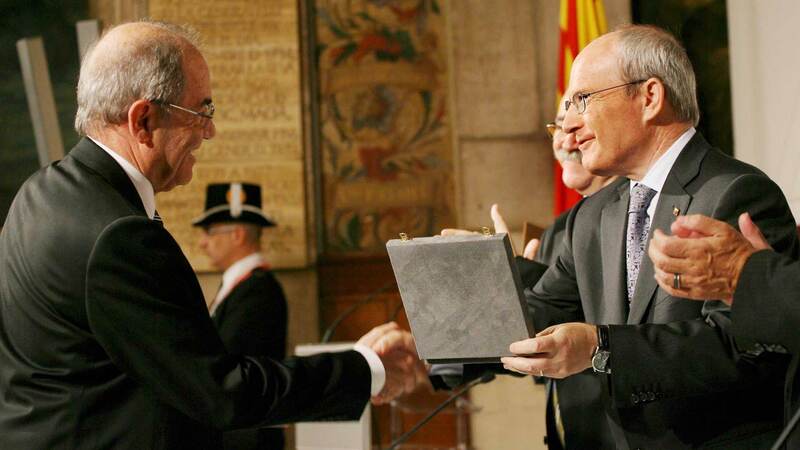 The Government of the Generalitat de Catalunya bestows the Creu de Sant Jordi on Josep Mª Pujol, in recognition of the business record of the Pujol Group and its impact on the social and economic progress of the Ponent region. 2011. 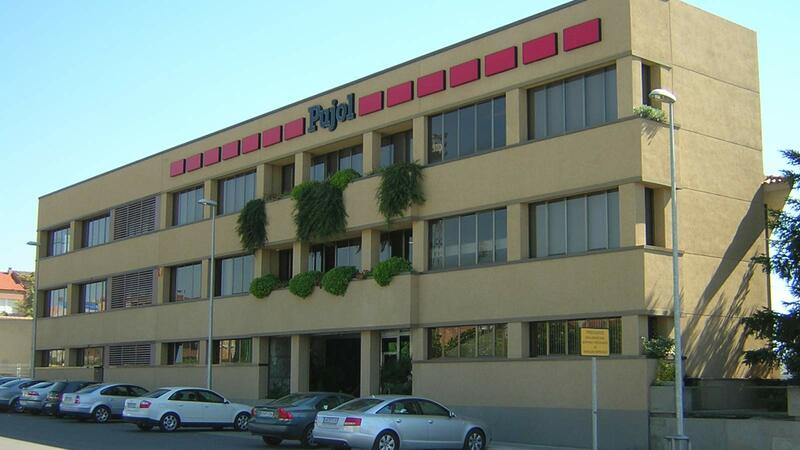 Pujol opens its new offices in Barcelona, ?located in the 22@ technology district. 2015. 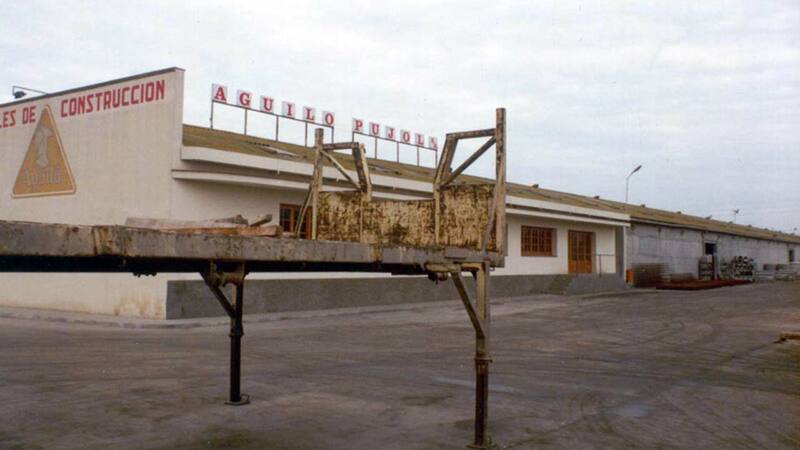 A sudden and unexpected heart attack takes Àngel Pujol. 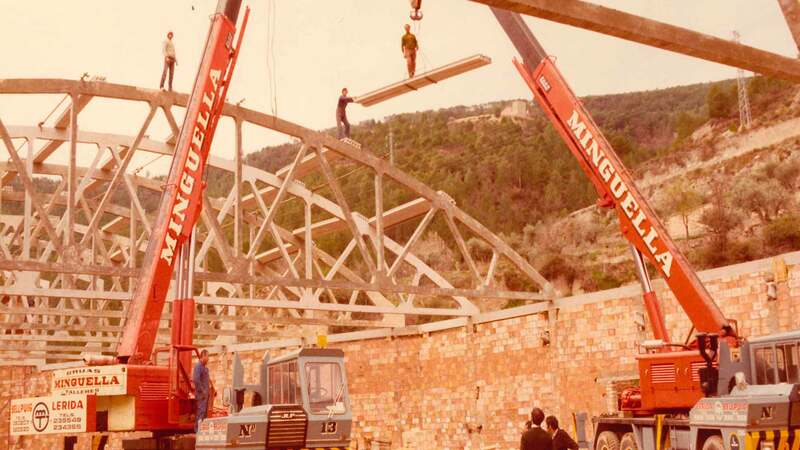 The man who, together with his brother Josep Mª, had made the development of the company possible up to that point, and the man who had combined his business role with his two other passions: the world of sport, and the world of social solidarity. In the world of sport, he personally supported and sponsored teams that he felt particularly close to. 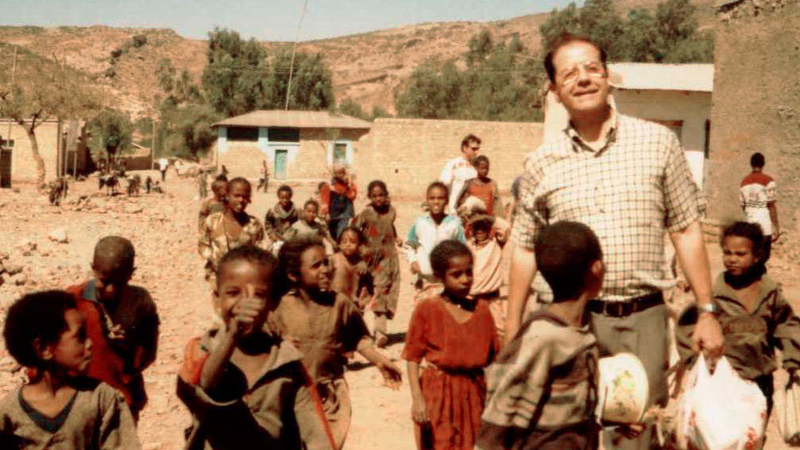 In solidarity, he dedicated the last few years of his life to Father Ángel Olaran’s humanitarian projects in Wukro (Ethiopia). To this end, the Centre for Solidarity Initiatives Foundation was established in 2005, which mobilises resources and collaborates with the mission for orphaned children, who they visit several times a year. 2015. Pujol Elements is created, a division of the group that encompasses all distribution activities for the construction and supply of concrete. 2016. 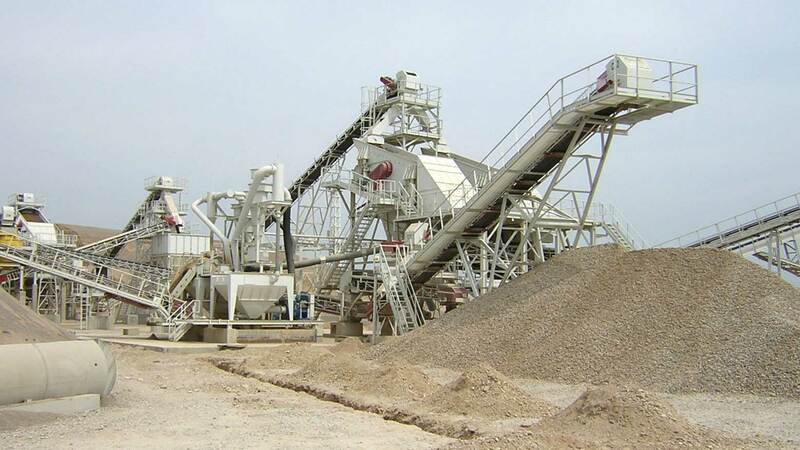 Mass concrete for construction sites. 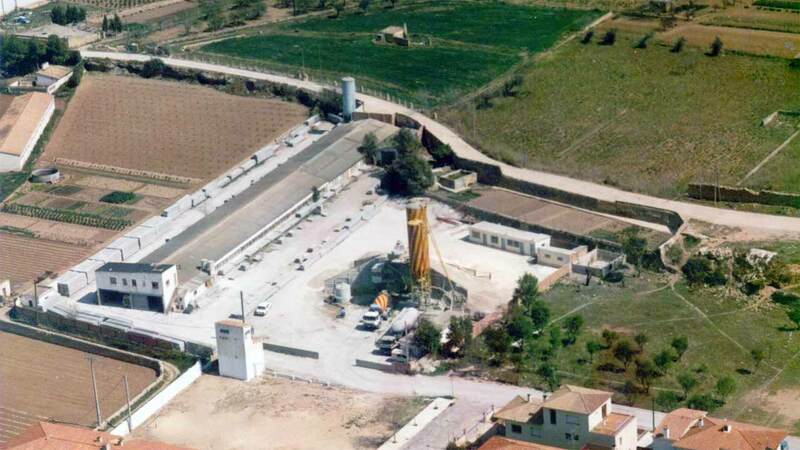 The group launches three new concrete plants in Mollerussa, Les Borges Blanques and Lleida for the supply and sale of concrete to construction companies and individuals. 2017. 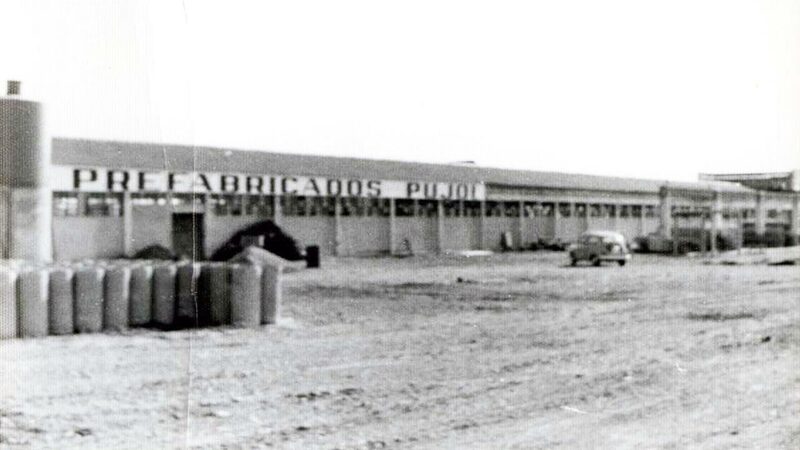 The Pujol Group reaches its 75th Anniversary. 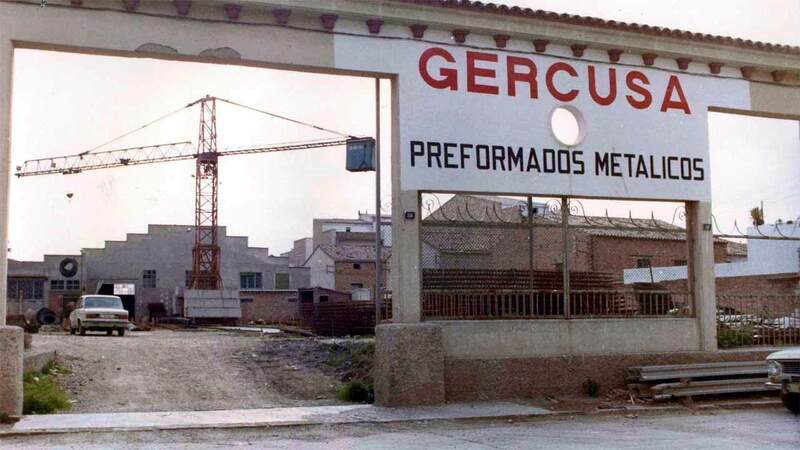 Back in the nineties, we noticed that a big number of citizens in the Pla d’Urgell province and surroundings had to travel a long way to received quality private medical care. Bearing this in mind, we decided to provide medical services to the families of all Group employees as well as the rest of the population. 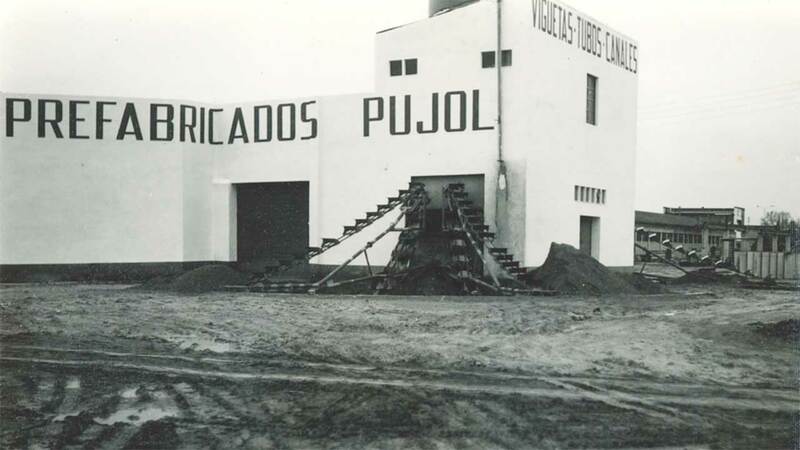 That is how in 1990 the Pujol Group immersed themselves in the health sector and opened the Centre Mèdic Pla d’Urgell in Mollerussa. 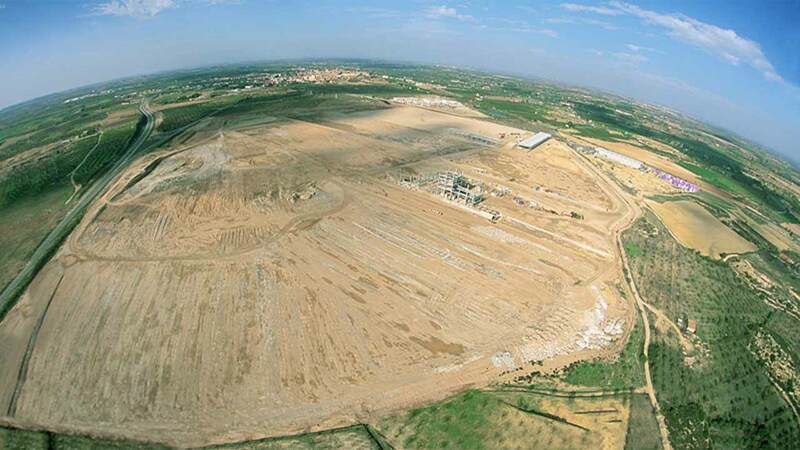 Years later, in 2007, Pujol inaugurates Avantmèdic in Lleida. This centre consists of two floors dedicated to medical consultations, a laboratory for clinical tests, a diagnostic imaging area and an out-patient operating theatre, all of which are equipped with the latest technology. All this in the hands of a leading team of medical specialists and clinical and customer care staff which enabled Avantmedic to develop into the leading provider of private specialised medicine in Lleida and the surrounding area. The Pujol Group donates a percentage of its profits and assigns its own staff to the Pujol Gorné Foundation, which was established in 2003.The Foundation provides different types of social assistance and aims to improve the well-being of all group employees and their families, from the moment they are recruited until their retirement and beyond. Established with a view to support employees in any way it can, it is particularly active in matters of health, education and economics. The Foundation also organises recreational and social events to promote opportunities for socialising outside of work. Facilitating and encouraging integration of newcomers to the neighbourhood is another important activity that the foundation carries out. 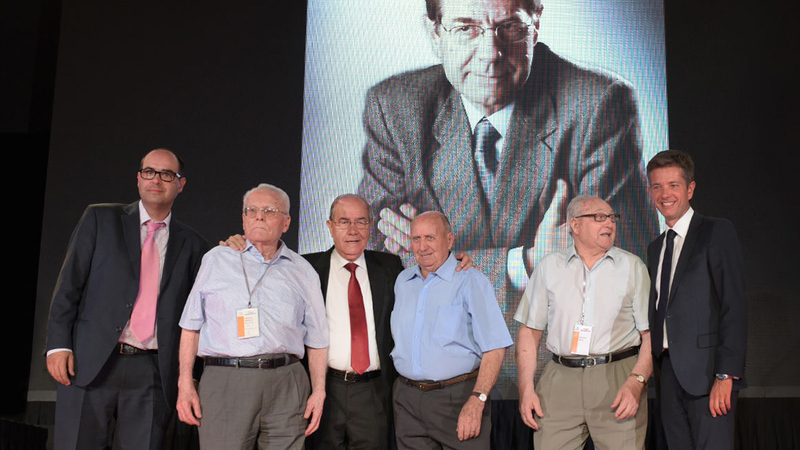 The Centre for Solidarity Initiatives was founded by Àngel Pujol in 2009. Since its conception, it has worked to support, assist, plan and develop new or complementary projects and activities related to humanitarian, health, social or educational aid in Wukro, in the Tigray region of northern Ethiopia. 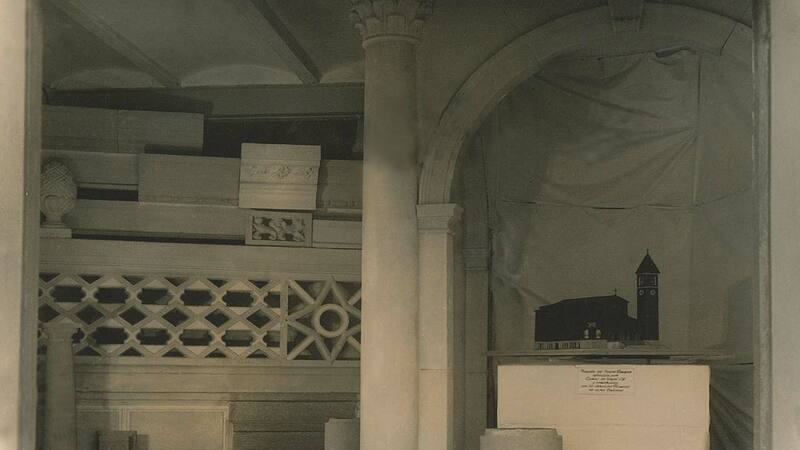 We do this in collaboration with the Basque missionary Ángel Olaran, the figurehead of St. Mary’s Institution. 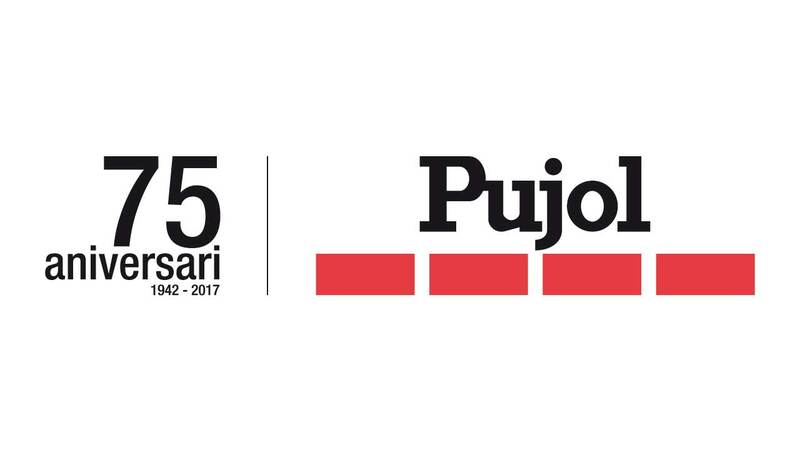 The Pujol Group is a permanent partner in all respects: making financial and material contributions, providing volunteers for events that attract new partners and funds, and participating in the Board of Trustees which is currently chaired by Josep Mª Pujol. 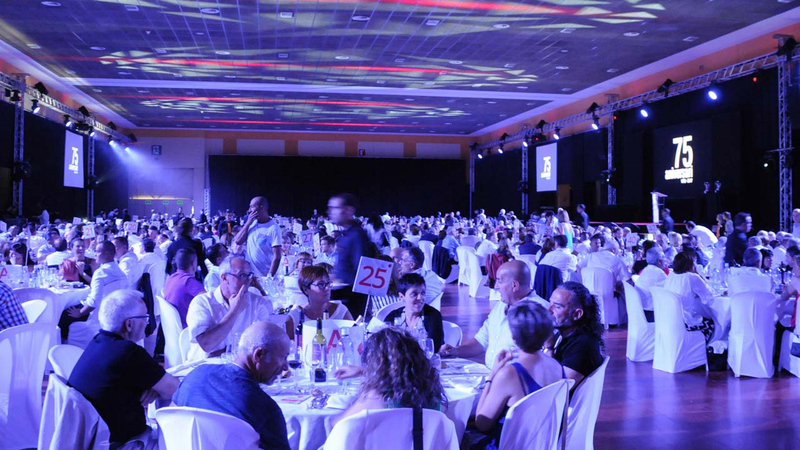 Our group’s receptive and committed attitude to the promotion of culture, education, innovation and sport has contributed greatly to the success of various projects, as well as to more popular initiatives established by people and organisations in areas where the Pujol group is present. In the news section (only in catalan and spanish) you can find some of the latest news in regards to sponsorship and collaborations. This is a unique business enterprise in which the objectives of a company and the idiosyncrasies of an initiative committed to the local area and work-family balance successfully coexist. 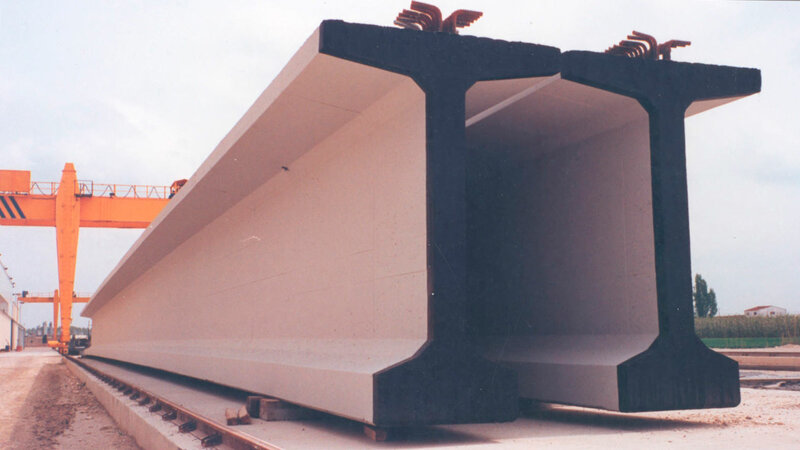 The mission of Ferrofet Catalana is the manufacture and supply of corrugated steel frameworks which, once filled with concrete, can be turned into a bridge beam, a pillar or a girder. 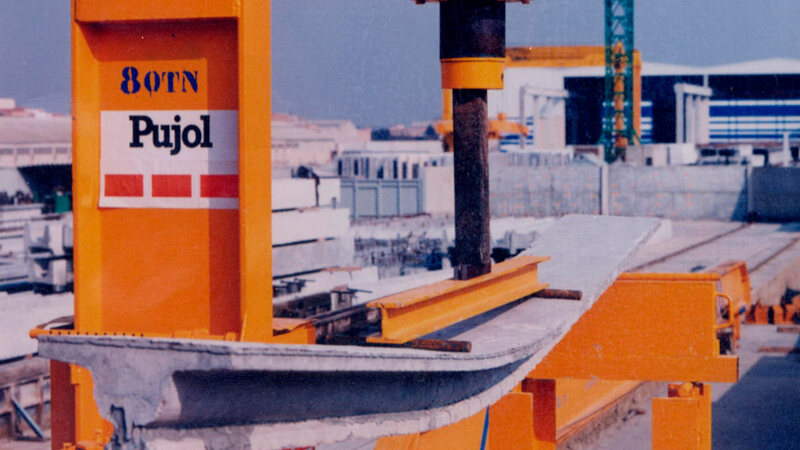 Pujol was beginning to recover from the economic and construction crisis after the Barcelona Olympics of 1992, and needed to boost the company’s growth in the region. 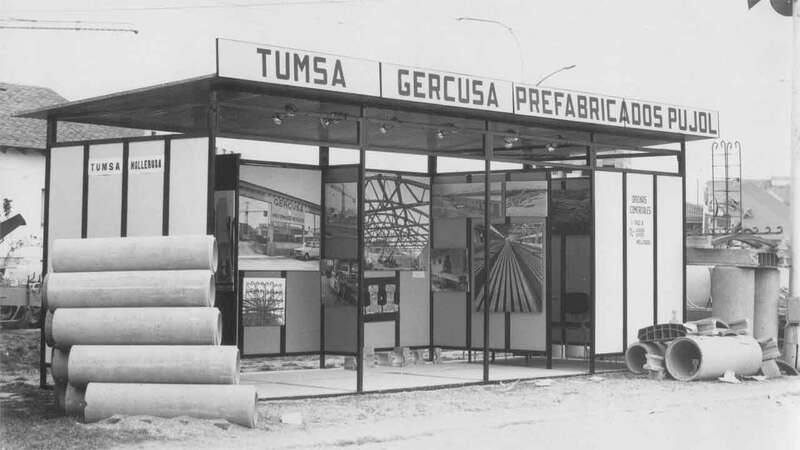 Mollerussa had seen significant transformation, starting in the previous decade, from being an agricultural town to an industrial and service-led town. The surrounding area, however, had a long tradition of agriculture and horticulture. In terms of employment, the area enjoyed the lowest level of structural unemployment in Catalonia. The available workforce consisted of local people and immigrants from the first wave of immigration in the 1950s and 1960s. 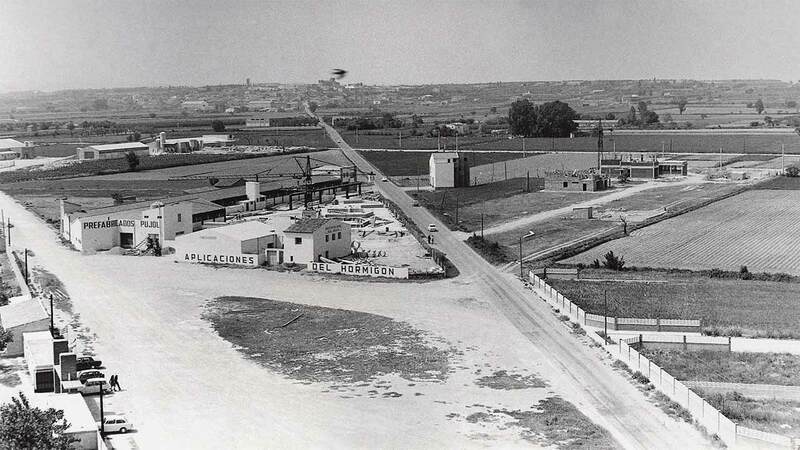 In the early 1990s, a second wave of immigration was expected, although it was yet to reach Pla d’Urgell. 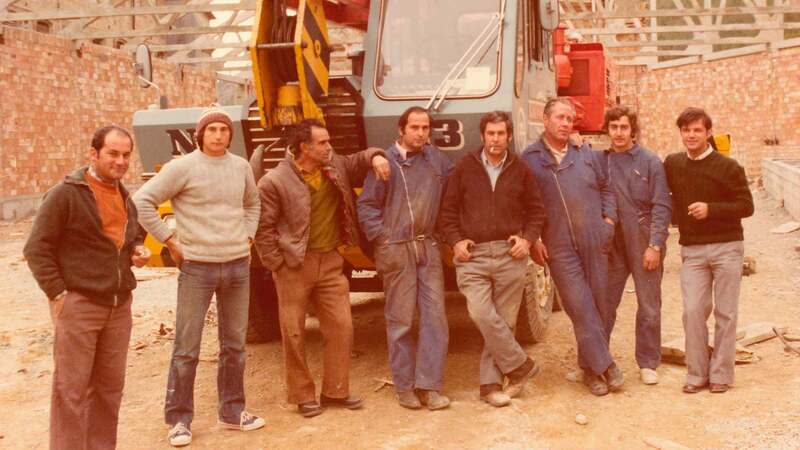 With the beginning of the economic boom, Pujol faced a major short-term challenge: having enough people to work in Ferrofet without relocating. 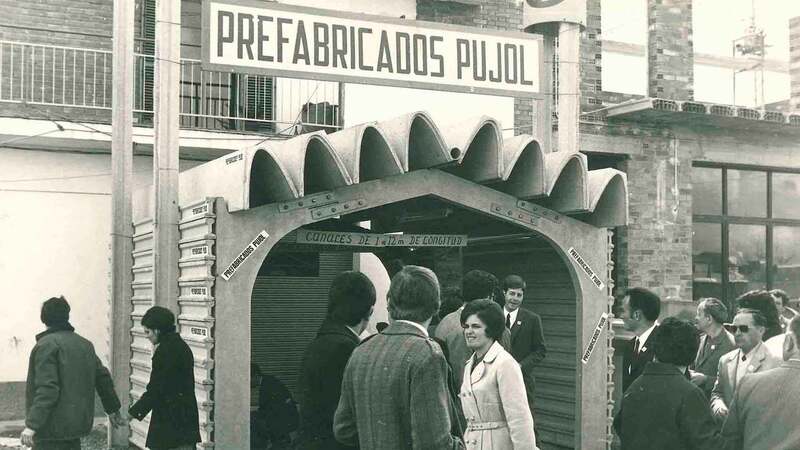 Desperate to find a suitable workforce and determined not to relocate, Pujol took the decision to prepare a socio-economic study of the region, collaborating with the Economic Promotion Board of the Lleida Provincial Council and the UGT Union. The results identified two groups within the region that could be potential workers: farmers and women. Farmers, outside of the harvest season, could devote time to working within industry. However, this did not satisfy FERROFET’s needs as peak production coincided with harvesting. More people were needed. So, through announcements in the local villages, we looked for people who were generally willing to work part-time. In just two weeks, the response was telling: 300 women were interested. That gave us the final clue! What if we were able to put our imagination to the test? And what if the growth of Ferrofet was to be focused on a female workforce? By offering them working conditions that would allow them to combine their other occupations? It was time to redesign an exciting project that would now be even more committed to the local area, as it was now focused on its women and their daily realities. We had before us some women who, indeed, had to attend to other responsibilities and activities, but had told us that they wanted to have their own job and/or contribute to the domestic finances. Most of them had jobs within the family circle and received no remuneration; others had low-level, occasional or sporadic work in shops and other businesses. Ferrofet represented the perfect job opportunity for them, such that they could earn a salary and continue to attend to their other responsibilities. 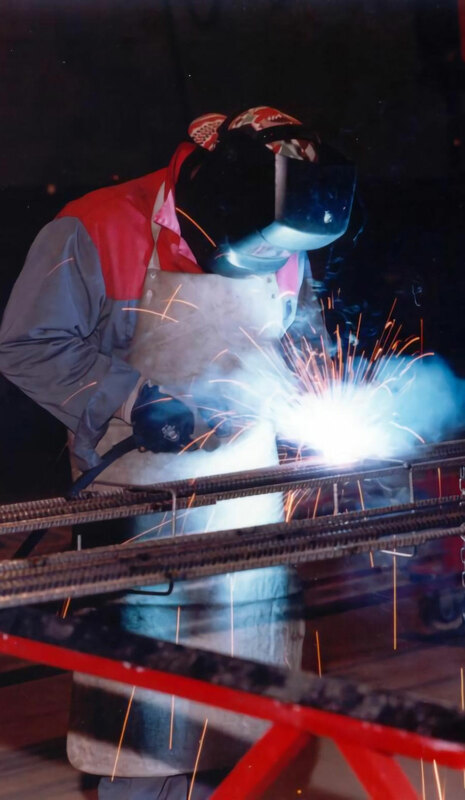 The manufacturing process of metal frames is based on the cutting and moulding of iron bars with machinery, and their subsequent joining and welding with manual tools, following the instructions of a blueprint provided by the Technical Office. 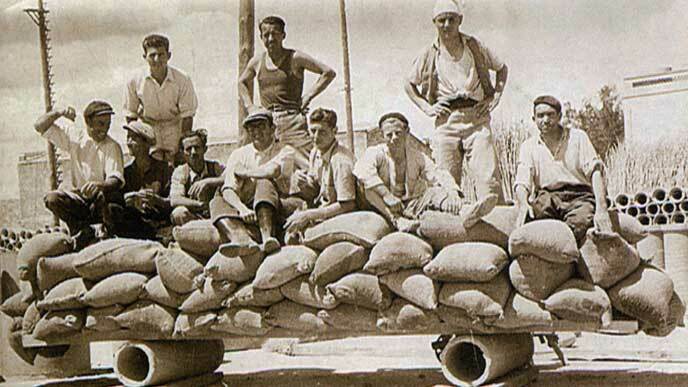 Ferrofet designed and adapted all of its production equipment bearing in mind the physical characteristics of their potential employees: lifting devices to avoid the use of force, tools to replace hard tongs, easy-handling hydraulic guns, soldering equipment suspended from the ceiling so that they did not to have to be dragged along the floor, etc. 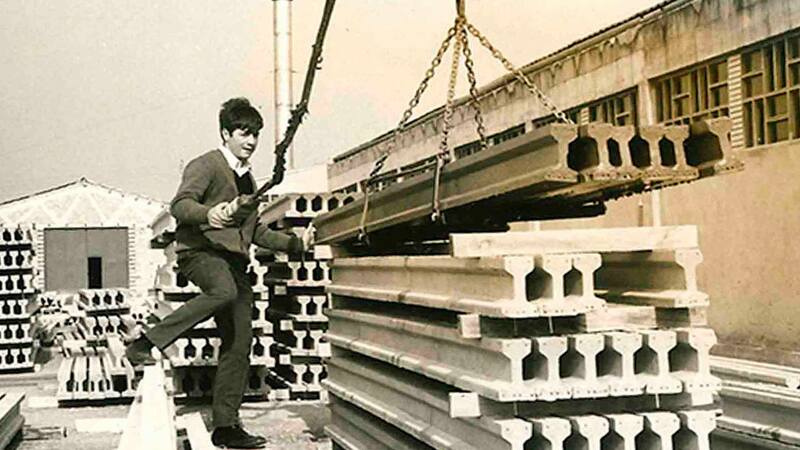 We had women of all ages willing to work part-time every day. 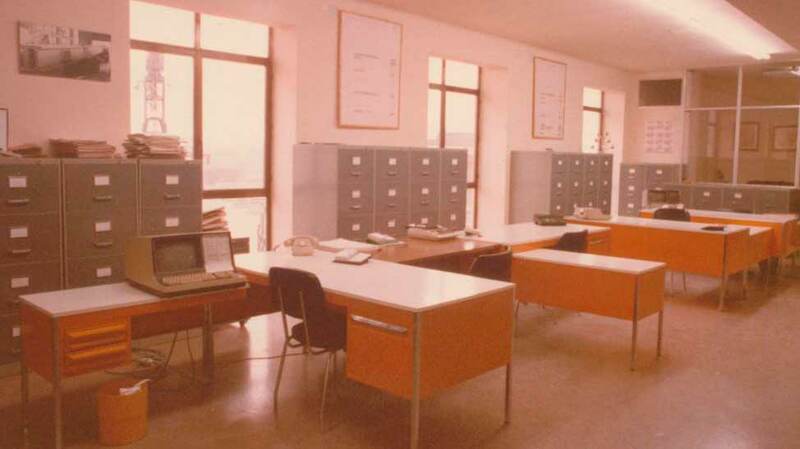 We had to organise things taking two premises into account: available staff working time, and the operation of the factory during a 12-hour working day. Once the candidates were selected, the training of the first 20 employees began with our in-house programme, set up at the company’s expense. 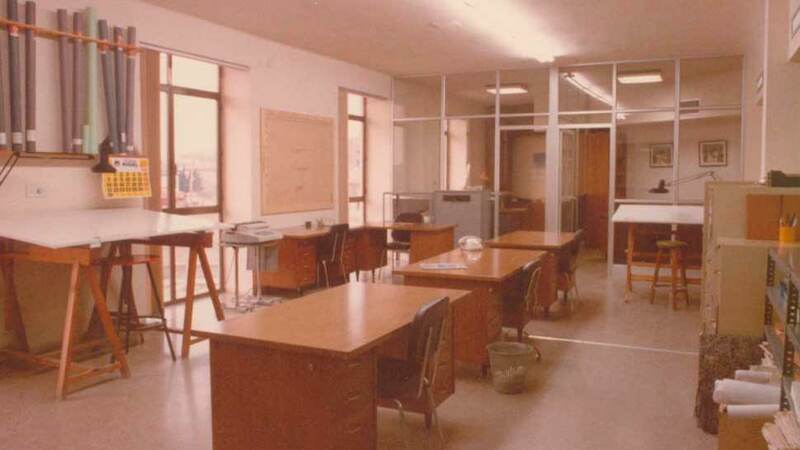 In addition to classes in theory and practical sessions, classes in Safety and Hygiene at Work were also provided. These courses provided the training and information needed to prepare the women for the requirements of their future roles. In February 1999, the first 20 women joined Ferrofet, and others continued to join until a total workforce of 230 was reached. By the end of 2002, production was carried out exclusively by women. 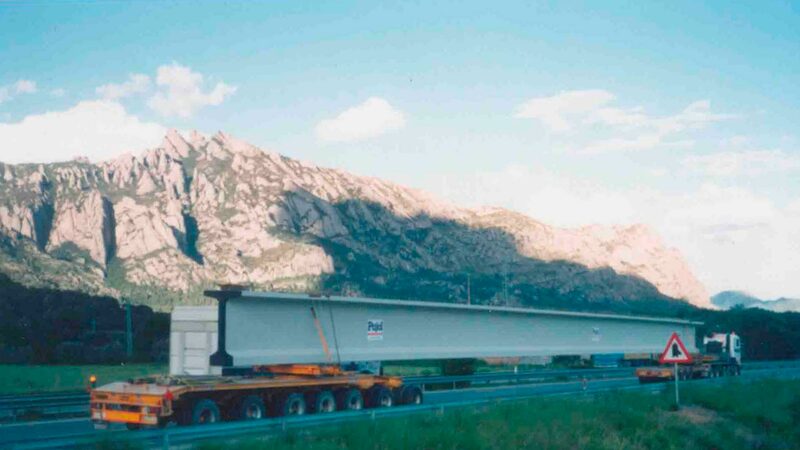 As Ferrofet was such a unique initiative, there was no existing employment contract which satisfied the requirements of this operating model. A new, specific contract needed to be drawn up: the part time, indefinite, fixed and discontinuous contract. 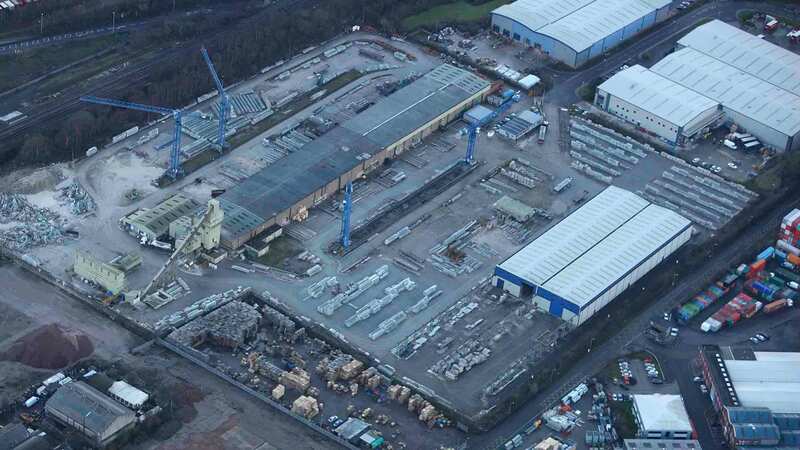 It also had to accommodate situations in which a contract could be suspended, without permanent termination when sufficient work was not available. 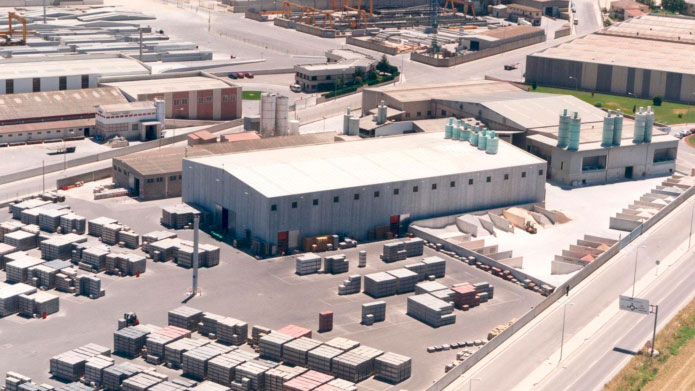 Ferrofet was the first employer to use this new contract. The factory clocks are set five minutes ahead to allow mothers to pick up their children from school. The possibility of being able to choose work shifts makes it easier for employees to attend to other matters. On a continuous basis, staff are trained to produce new components that have been added to the product catalogue and/or where their training is refreshed in order to be able to take up a new position, understand a particular type of blueprint or learn how to use a particular work tool. The female employees have got involved in the training programme themselves, taking advantage of their skills and experience. At the beginning, the tutor was an old ironworker. Later on, he was joined by one of the first women in the Ferrofet team who had previously been a teacher and an educator. 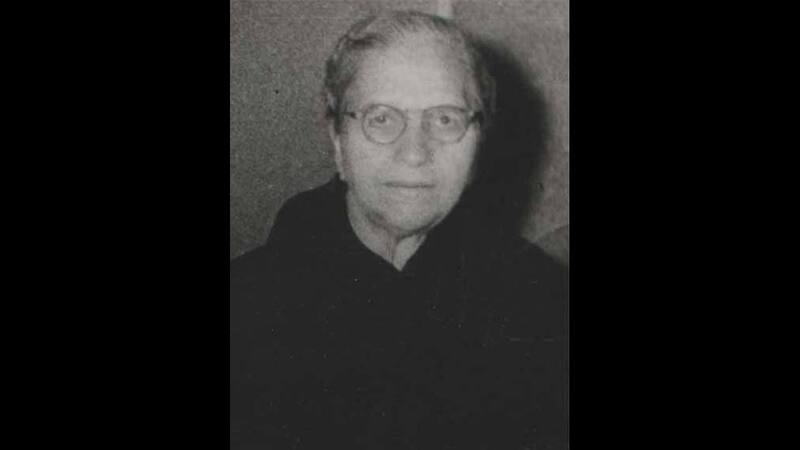 She helped to define the training process to be followed by other women who were joining the trade, and participated in the development of a training manual. Ferrofet has become a case study at Business Schools and generated the interest of television programmes such a 30 minuts on TV3. Nevertheless, Pujol’s most significant prize is realising a business initiative which from its conception has delivered the required operational performance. Furthermore, witnessing the satisfaction and commitment demonstrated daily by Ferrofet’s women, who are delighted to have the opportunity to develop professionally and receive financial reward in their local area, is the greatest honour Pujol could receive.